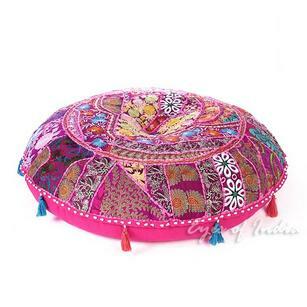 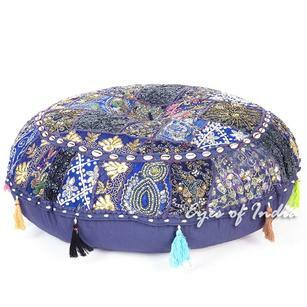 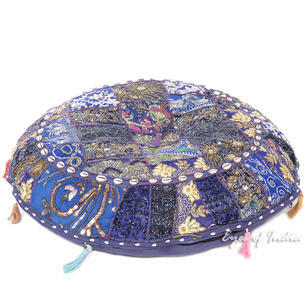 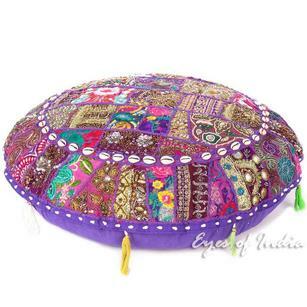 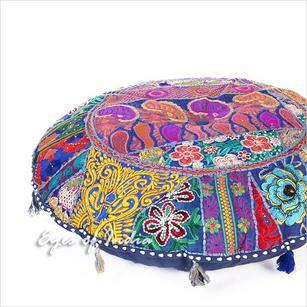 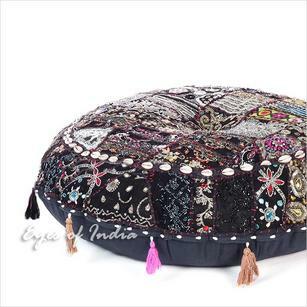 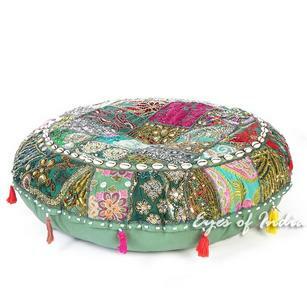 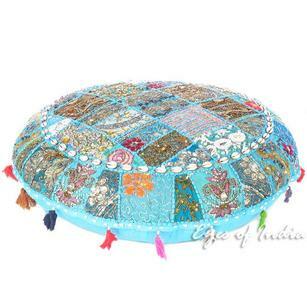 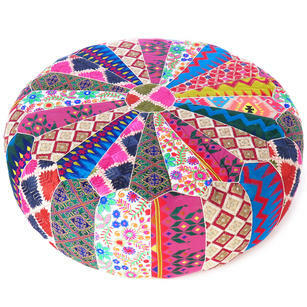 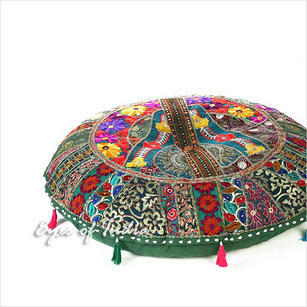 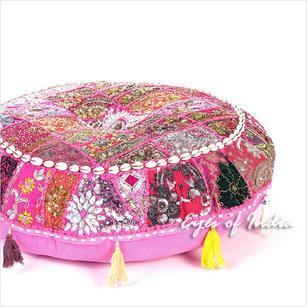 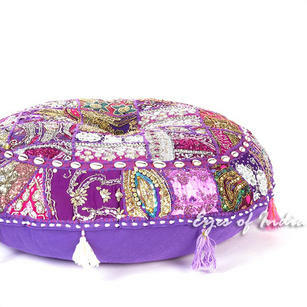 Large Bohemian Floor Cushions are some of our favourite products, not only do they add an excellent design feature - with their unique fabrics, tassles, strings and beads, they provide a fantastic place to sit back and relax. 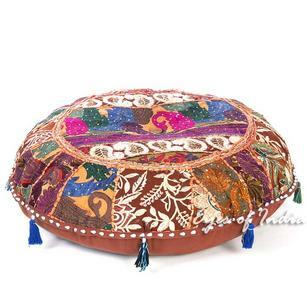 Many of our customers send us photos of them using these cushions all over the home, from using them to add in extra seating in smaller rooms, to lounging on them in the garden. 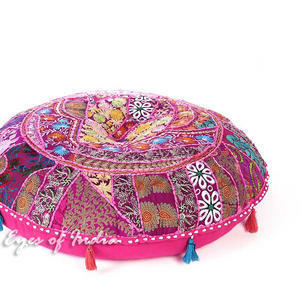 All of these large floor cushions have been handmade in India, by craftsmen who have learnt their skills through generations. 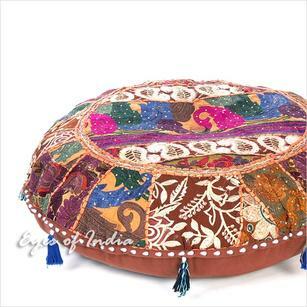 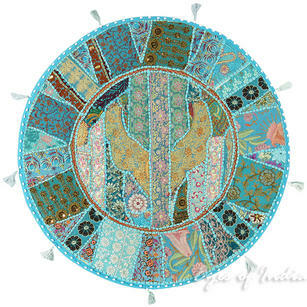 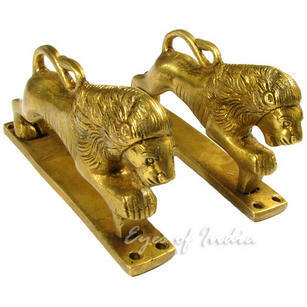 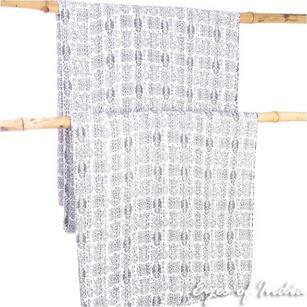 In purchasing from Eyes of India, you can help ensure that their craft remains alive, and that they receive a fair price for their work. 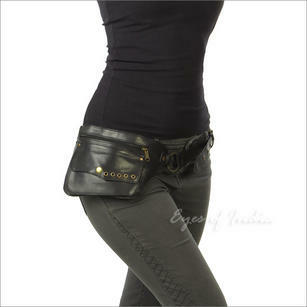 If you have any questions about this range, please do just get in touch and we will be happy to help. 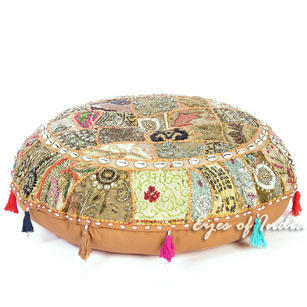 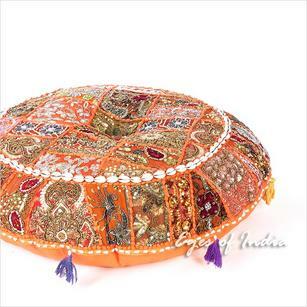 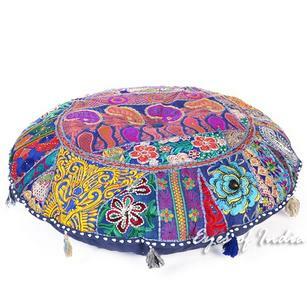 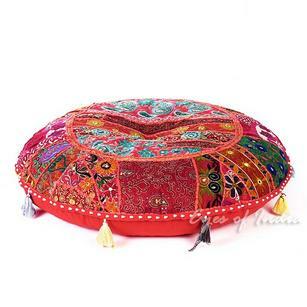 Brown Round Decorative Seating Boho Bohemian Throw Colorful Floor Meditation Cushion Pillow Cover - 40"
Orange Round Decorative Seating Boho Floor Cushion Bohemian Meditation Pillow Cover with Shells - 28"